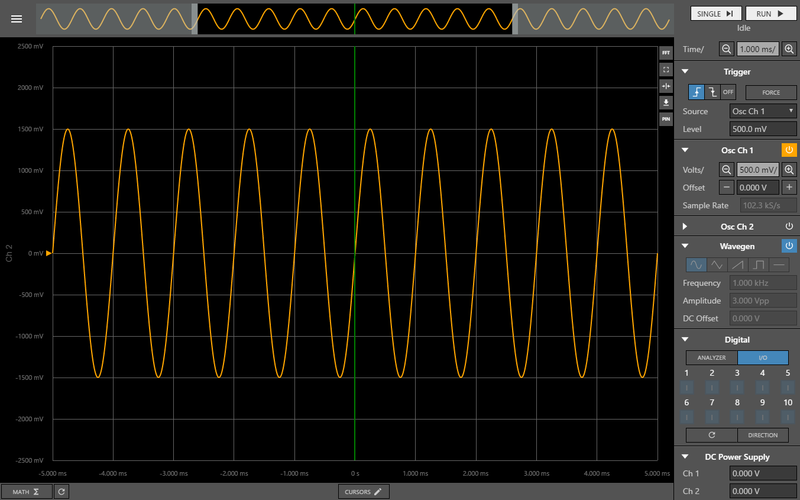 For the past couple of weeks we’ve been talking quite a bit about about the new OpenScope MZ, and have mentioned the interfacing software WaveForms Live. However, we haven’t gone into much detail about the software side of things… that is until now! Based on our popular, WaveForms software, WaveForms Live is Digilent’s browser based, and open sourced software offering. 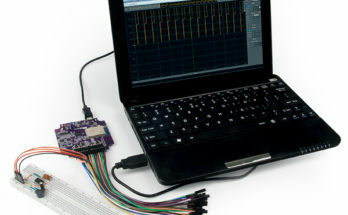 It was designed to easily control and interact with instrumentation hardware (like OpenScope MZ) by providing a cross platform (Mac, Windows, Linux), graphical user interface that combines support for an oscilloscope, logic analyzer, GPIO, power supply and more into a single application. Browser Based- A defining feature of WaveForms Live is it’s ability to run in a browser and interact with hardware. This frees the user from having to download software that runs natively on the computer and opens up the possibility to run the software on phones, tablets, chrome books or anything that can serve a webpage! This is because WaveForms Live was developed using web-framework tools, such as Ionic 2 and Angular2 and written in TypeScript, HTML and CSS. The engine behind WaveForms Live is called, The Digilent Instrumentation Protocol. Open Source- The other defining feature of WaveForms Live is the move to make the software open source. Largely enabled by the web tools that were used to develop it, all of the source code can be found on the Digilent GitHub. The open source nature allows users to modify and contribute to the source code any improvements, device additions or general curiosity of how the software is put together. 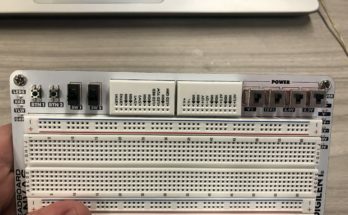 We’ve created a getting started tutorial that will help developers begin poking around WaveForms Live and learning how it works. To take it for a test drive. If you have already explored the software, we encourage you to go and visit the resource center and to let us know your thoughts!